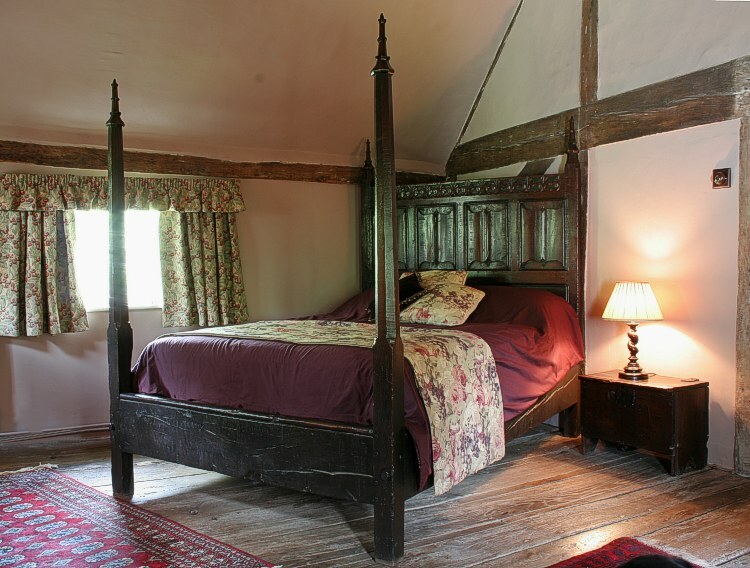 A Gothic Style Oak Bed, handmade from reclaimed old oak, for our clients pictureque Berkshire cottage. We combined elements from original early 16th century woodwork and employed joinery techniques of craftsmen from the period. The post finials were designed by us, drawing inspiration from the crocketed spires of medieval churches and cathedrals and applying them in a more simplified form. As with all our handmade furniture, this bed has a real presence and seems to exude a timeless and peaceful atmosphere to the room, similar to the unmistakable aura from actual early examples. Oak enthusiasts will know what we mean! !